From March 13th to July 14th 2019 at Palazzo Reale. 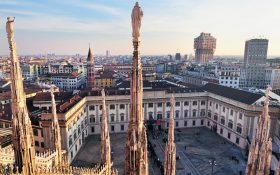 The wonderful world of nature arrives in the heart of Milan, at Palazzo Reale on the occasion on the 500th anniversary of Leonardo da Vinci’s death. 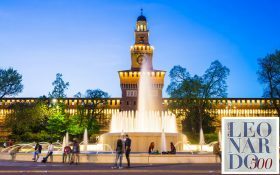 From 16 May 2019 to 31 January 2020 at Sala delle Armi of Sforza Castle to celebrate 500 years since Leonardo’s death. 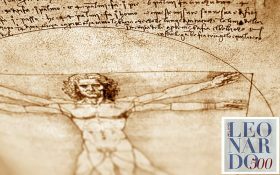 From 16 May 2019 to 18 August 2019 at Sala dei Ducali of Sforza Castle to celebrate 500 years since Leonardo’s death. 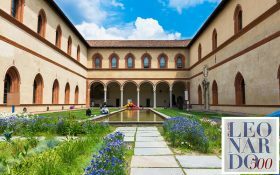 From 16 May 2019 to 31 Jenuary 2020 at Sala delle Asse of Sforza Castle to celebrate 500 years since Leonardo’s death. 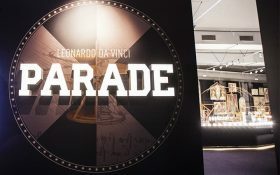 A large selection of fascinating models built in the 1950s through the interpretation of Leonardo’s drawings_ from July 19th to October 13th, 2019.